Sir Isaac Newton, as the famous story goes, didn't formulate the theory of gravity from seeing the property itself, but rather by watching an apple fall from a tree to the ground. Weight is a concept that cannot be seen directly, and it puzzles most preschool-aged children. While they can figure out other more obvious properties about objects, such as their shape, color, or the sound they make, weight trips them up. "We're not sure why preschoolers have such a hard time understanding weight," said Rebecca Williamson, an assistant psychology professor at Georgia State University. "But, if we can find a way to teach this difficult concept to them, perhaps the same teaching methods would apply to other complex and invisible properties." Williamson, Zhidan Wang, a graduate student at Georgia State, and Andrew Meltzoff, co-director of the Institute for Learning & Brain Sciences (I-LABS) at the University of Washington, have two newly published studies that reveal a strategy for teaching preschoolers about weight: make it a game. In research papers published in the Journal of Experimental Child Psychology and in Frontiers in Psychology, the researchers examined how children's age and the culture they're raised in affect how well they learn from a game where an adult demonstrated how to use weight. "We wanted to see if kids could learn about weight from watching other people interact with the object," said Wang, first author of the papers. "We designed a procedure where the children watched other people categorize objects by how much they weighed." 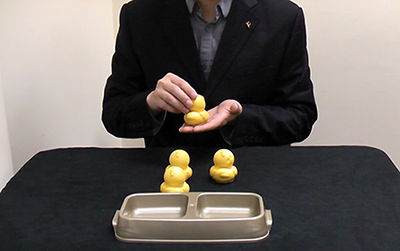 In the game, 3- and 4-year-olds watched an experimenter play with two sets of toys — four yellow rubber ducks or four plastic zebras. Within each set, the toys were visually identical, but they had a secret: two in each set were heavy, the other two were light. The children watched as the experimenter “hefted” each toy — lifting it and then moving it up and down with the hand as if weighing it, but without explaining what they were doing to the child. Children in other control groups watched the experimenter lift each object, but did not see the adult sort them. Could the children learn the sorting rule just from watching the adults group the objects by weight? To find out, the experimenter gave the child a new set of weighted toys to see if the child would use the newly learned rule. Kids who saw the sorting demonstration at age 3 showed no evidence that they learned from it, but by age 4, they did. "The things children imitate reflect what they're ready to learn," Williamson said of the study published online in the Journal of Experimental Child Psychology. When children see the hefting behavior, they figure out that there is an invisible property that accounts for what the adult is doing. "Here we have an example of children using social observation and imitation to learn about fundamental properties of the physical world," Meltzoff explained. "It vividly shows that children not only copy what we literally do, but make deeper inferences about why we’re doing things." The study with 3- and 4-year-olds was done with American children, and the research team wanted to see if the weight demonstration game would also be effective in children growing up elsewhere. In a second study, published online in Frontiers in Psychology, they decided to study preschoolers in China where the culture's custom of emphasizing group cohesion and conformity may affect how well they learn from others. "If I have to obey you, first I have to figure out what I have to obey," explained Wang, who grew up in Henan province in China and moved to the U.S. in 2011 to pursue his degree. "Chinese children may have an advantage to learn unobservable rules because their daily life trains them to practice this." The findings showed that Chinese and American children performed remarkably similarly. "Rule learning may be something children have to do everywhere in the world," said Wang, who traveled to China to collect the data. "Because weight is a physical property, children around the globe might have similar experiences with it and make similar inferences." It's this attention to the details of others' actions that sets humans apart, and why a game that involves observing the actions of others and imitation could be such a powerful learning tool for preschoolers. Why does a game help? Rapid learning through social observation and imitation is a deeply human characteristic. Studies of social learning in nonhuman primates reveal that though they may copy some aspects of each other's behaviors, they aren't as thorough as humans. "We suspect that copying the adult’s “hefting” behavior gives children additional information about the object," Williamson said. "When the children watch another person lift the object, and they imitate that action, they may actually learn about the object’s weight." Williamson added that the children may not understand why they're doing something, but copying it play-by-play can help them figure it out. Plus, it's fun and a way to interact with other people, she said. How might these findings be adapted for education, to help introduce STEM concepts in preschool? 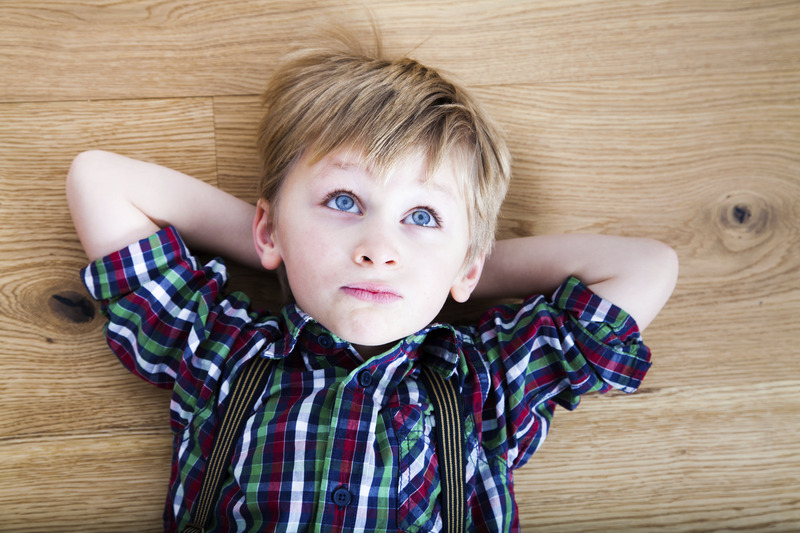 First, the studies provide evidence that young children are more aware than we may give them credit for. They understand that in the world around them there's more than meets the eye. "Science is built on the idea that things may not be what they appear to be," Meltzoff said. "There are underlying physical laws and social customs that explain what you see." Second, we may not think that young children, such as the 4-year-olds in the study, are trying to understand the mechanisms underlying reality — but they are. "When they see us do something unusual like 'heft' an object and sort visually identical objects into two categories, they immediately want to know what explains that odd behavior," Meltzoff said. The beauty of this, he said is: "In seeking to explain the behavior of other people, children learn about the physics of the world. By studying our actions they learn both about us and also about the objects we touch." Originally published by the Institute for Learning and Brain Sciences (I-LABS). The Ready Mind Project funded the research. Molly McElroy is the Communications & Marketing Manager for I-LABS. She translates the Institute’s research findings into stories accessible to a wide audience, creates and curates content for the I-LABS website, coordinates I-LABS’ social media, and handles media outreach and inquiries. Previously she served as a writer for the University of Washington’s news office and on the news team at the American Association for the Advancement of Science, in Washington, D.C. She has a Ph.D. in neuroscience from the University of Illinois, Urbana-Champaign, and a bachelor’s degree in psychology from the University of Richmond.